Maximum strength, sophisticated design, and highly customizable. The Gable Series 7500 has become an industry standard production house, education or retail structure. Compatible with multiple covering options and ventilation designs, this greenhouse offers an ideal environment for just about any application. A tradition in and of itself, Conley’s Arch Series 6500 represents one of the most versatile greenhouses on the market today. Incorporating Conley’s superior strength roll-formed arches and purlins, this structure is as strong as it is functional. Whether starting out or in an expansion mode, the versatility of the Ranger Series 2000 offers a natural no nonsense solution for obtaining maximum productivity while reducing capital investment. The Ranger Series 2000 works as a growing area, educational greenhouse or retail center. Offering growers a unique combination of increased strength, at extremely affordable prices. Conley’s Super Star Series 3000 greenhouse offers the grower a unique combination of increased strength at extremely affordable prices. The Super Star Series 3600 represents one of the real “workhorses” within Conley’s line of poly covered roof greenhouses. Incorporating 3” tall roll-form arch assemblies, this greenhouse is as equally comfortable in warmer regions as it is in extreme snow and wind climates. An indispensable partner for growers. Durable and customized steel and aluminum greenhouses.From the small expansion to the commercial grower, modular construction makes extensions and adjustments a breeze. Solid construction, excellent light output and extensive ventilation capabilities. Commercial Greenhouses are amazing structures that provide a barrier between what is truly going on outside and the plants being grown inside. Greenhouses allow for people to maintain a stable environment for plants of all types to be grown year round. For places that are too cold, greenhouses can create a warm environment for plants to grow and for places that are too hot, greenhouse kits can shield plants from the intense sun. Greenhouse kit gardening is no small feat. There are a million little details that go into a building and maintaining a successful commercial greenhouse, but that should not stop someone from pursuing this rewarding project. The type of greenhouse varies based on temperature, structure, and design. The type of temperatures that greenhouses can come in are cold, cool, warm, and hot. The selection of which type depends on location, type of plants grown and budget. For example, hot houses cost more to maintain because they need supplemental heating but they can grow tropical plants year round. Cold houses, however, have no extra heating and are used merely to extend the growing season. Warm and cool houses fall somewhere in-between. The structure of the greenhouse varies depending on the purpose which can be broken down into two categories, commercial greenhouses, and residential greenhouses. Commercial greenhouse then further vary depending on the purpose, like research, educational, or retail operations. Another way to evaluate a greenhouse is by its design. Design can depend on how much the builder values functionality, aesthetics, and cost. Design of the greenhouse depends on the architectural style and the materials used. There are various materials available for the support/framework of the greenhouse, the covering, and the environmental controls put in place. Here at Hummert, we know that building a greenhouse takes a lot more than just deciding you want a commercial greenhouse to be made of glass. There are a bunch of other finishing touches and tools that might need to be put into place. That's why we offer supplemental heating units, ventilation and cooling options, benches, doors, and more. These pieces are important because having the wrong type of bench can make retail difficult or not adding ventilation can mean an overly hot greenhouse. Every single piece of your greenhouse matters, and it matters all the more for commercial greenhouses because they have multiple people depending on them. That's why we are sure to offer state of the art accessories and advice from educated experts when picking out these pieces. Although a tad bit overwhelming, building a greenhouse is worth it. These are just some of the more vague benefits as well. Who knows what kind of impact a school might have if they teach young kids the importance of going outside and getting fresh vegetables or if a community that is mostly cold and grey gets to experience the vibrant colors of a tropical plant. Greenhouses not only house plants, but creativity, inspiration, and innovation. So you decided you want a commercial greenhouse for your school. You picked out the design and the accessories. It is all built and ready to go, now what? 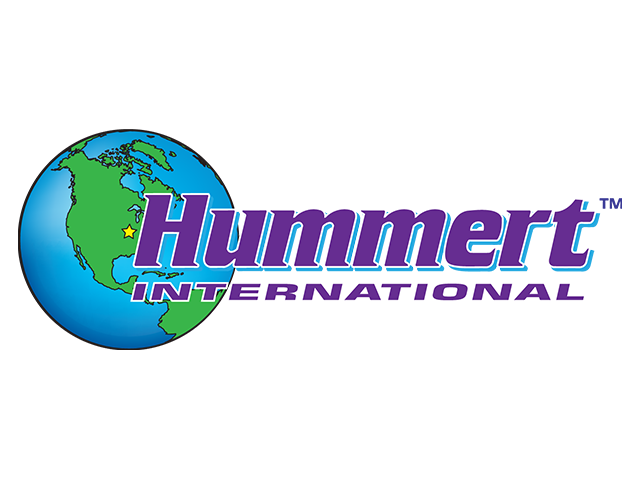 Your experience with Hummert International does not stop there. Hummert is not only known for its commercial greenhouse and the “Hummert Greenhouse Design & Discovery” consultation, but we also have every gardening tool imaginable to meet your horticulture needs. You’re going to need seeds, fertilizers, containers, and more. Maybe somewhere along the way you decide you want to install an irrigation system. We're here to meet every one of those needs with our state of the art gardening supplies.